There’s a literal record scratch. Every head in the studio office turns and stares. Evidently, this isn’t how an artist is supposed to talk in Japan. What she is supposed to do is turn up at the studio in the morning, stand in front of a mic all day, and leave the record execs with a brand new piece of music to go off and market. Every day. What they don’t need is a rapper with an attitude – as if there were any other kind. That’s when it hits her: this Japan thing? Not gonna work out. 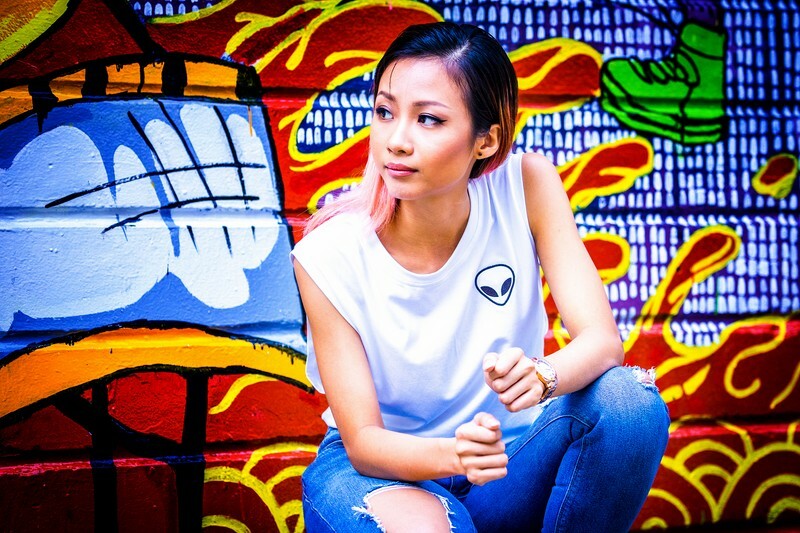 Suboi may have given it a shot as the sweet petite Vietnamese girl for her Japanese fans – she went as far as making a thunderously cute pop video that she describes as all “hey putty putty putty” (she’s never posted it and will throttle anyone who manages to dig it up) and she gave a number of energetic performances to unresponsive, bewildered local audiences. But at the end of it all, one thing was clear – our angelic, rough-hewn, super-feminine tomboy rap artist remained an enigma to the Japanese, and it was time to come home. You can probably put a pin on the timeline right there and say that’s when things bottomed out for Suboi. 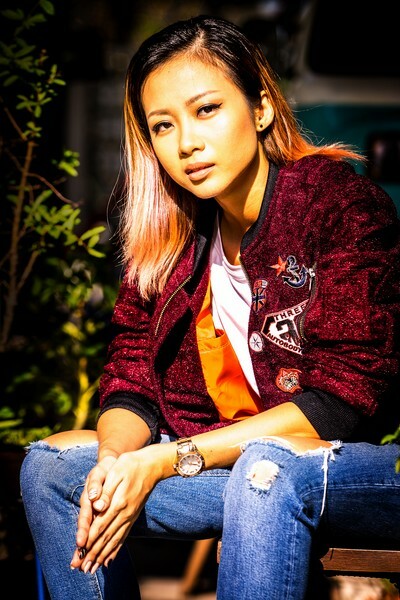 Months earlier, everyone had been talking about her – international media exposure had made her not only the country’s first successful female rapper, but likely to be the first popular Vietnamese artist ever to make a dent on the global music scene. Fame had taken the awkwardly goofy schoolgirl with a penchant for wrestling and Eminem-style foul language and had landed her stage appearances, album contracts, and a lucrative sponsorship deal for Yomost – for which she’s extremely grateful as the check was good, although it must be said that this was for a yogurt drink, and she is a rapper. If you’re interested, the flavor of rapper-endorsed yogurt is peach. Fame, in her words, also ruined her in many respects. Her first inkling that she was heading on an uncomfortable trajectory was when strangers with champagne glasses in hand would approach her for chit-chat in the kinds of parties she was desperate to escape from, while her old crew from the underground were suddenly blanking this breakout celebrity who’d obviously started to believe in the voices telling her they could ‘make her a superstah.’ Those voices happily took the rights to the new album she’d spent all her cash on putting together (that’s where the yogurt money went); they were also delighted to keep all the proceeds from sales, if there were any – Suboi says that she still has to figure that out, given that she hasn’t seen a single dong from it herself. All this is why Suboi has, for the past two years, largely been appearing in pajamas in her kitchen, practicing up on her pasta dishes rather than rapping on stage in front of adoring crowds, and how she found the time to appear in a local movie (Ham Tran’s Hollow) as opposed to recording any actual music. So who, then, is this confident young woman who’s recently been making frequent public appearances in designer outfits? Fresh back in Saigon from appearing at South by Southwest and sell out shows in Brooklyn and San Francisco, with a new single released last month, a challenging new film role, and being photographed with far more bottles of Budweiser in hand than can possibly be coincidental? There’s an emotional flashback scene here where Suboi is found sitting on her sofa, tears burning ridges down her cheeks and splashing onto her popcorn, being admonished by a close friend who pulls her out of the hole, saying “no no no, not this attitude. You go out, put your music out, get your image on and everything. People will notice.” That’s pretty much what got her back on her feet – but let’s not focus on that, and instead on the deliciously dark sounds that Suboi is promising to deliver in her new music. Perhaps as a result of the two-year hiatus and the various career setbacks that have now been overcome, Suboi is finally ready to bring her skeletons out from the shadows – something that is giving her new music an edge she’s never felt confident enough to express before. Some of that anger, understandably, is derived from the unraveling of her original career momentum. 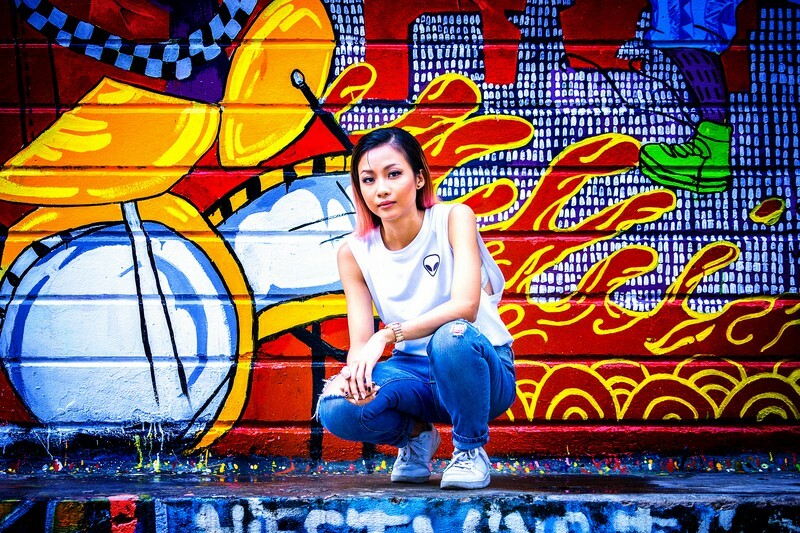 Her first album Walk(2010) was, for Suboi, an exercise in baiting the hook – intriguing her potential audiences with a mish-mash of rap and pop, spread out on top of a famous Vietnamese children’s song that everybody who grew up in this country knew by heart. With some verses in English sprinkled throughout, Suboi got everyone’s attention – even if it was largely “what the hell is this girl singing?” That was the first step; the second was to throw in a little old school for Run (2014), to get them closer, pulling them in. This is the point where Suboi’s swagger gives way and there’s a noticeable change in her accent as she transforms into her alter ego, the sincere and traditional young Trang Anh, still living a stone’s throw from the family home she grew up in in District 3. What’s different about Suboi now is that that she’s simply grown up. Her parents are now well aware of the troubles she’s been through in both her personal and professional life, and part of her renaissance is that she’s now free. She may still have to keep her politics in check – she has always voiced her distrust of censorship through coded lyrics, and as long as she wants to keep recording in Vietnam she’ll have to keep that up – but her recent performances in Vladivostok and the USA during her two years of relative inactivity have brought on a new confidence and put her firmly back in control of her own destiny. Suboi’s excitement about her overseas performances is starting to sound dangerously similar to what she said prior to leaving for Japan two years ago – but it seems that she has finally settled on a peace with the city she was itching to leave behind back in 2014. “Yes! this guy right here,” she says, “Yes, it’s my husband.